If you have a great story related to owning a firearm or how your U.S. Law Shield LEO membership has benefited you, we want to hear about it. You can share your story at memberstories@uslawshield.com.  "I didn't sign up for U.S. Law Shield LEO because at the time I thought I would never need it. I never expected to be in a situation like this. It ended up costing me thousands of dollars."